Silver glass beads necklace by London jewellery designer, Amor Fati. 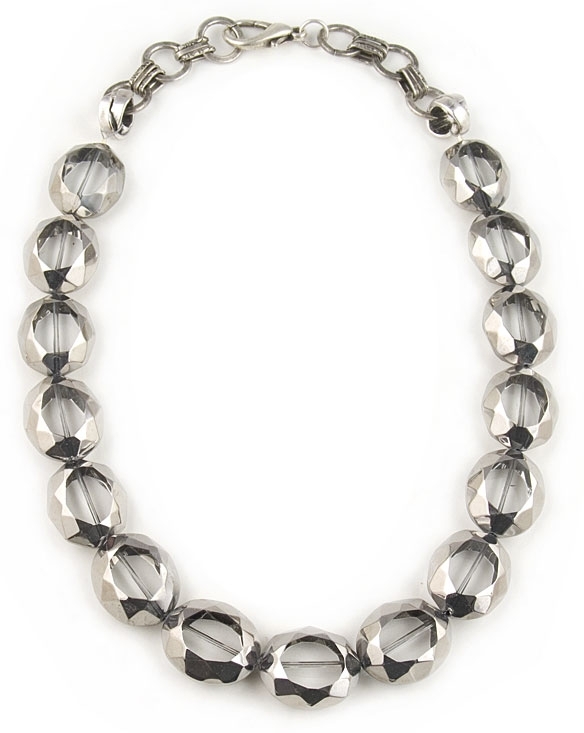 This fabulous designer necklace features faceted clear glass beads coated with silver, set on a stylish chunky antique silver chain. Necklace measures 50.5cm (20") in length fastening with a lobster clasp.